l am thrilled to be bringing you this fun baseball themed collaboration box featuring some of my favorite brands. 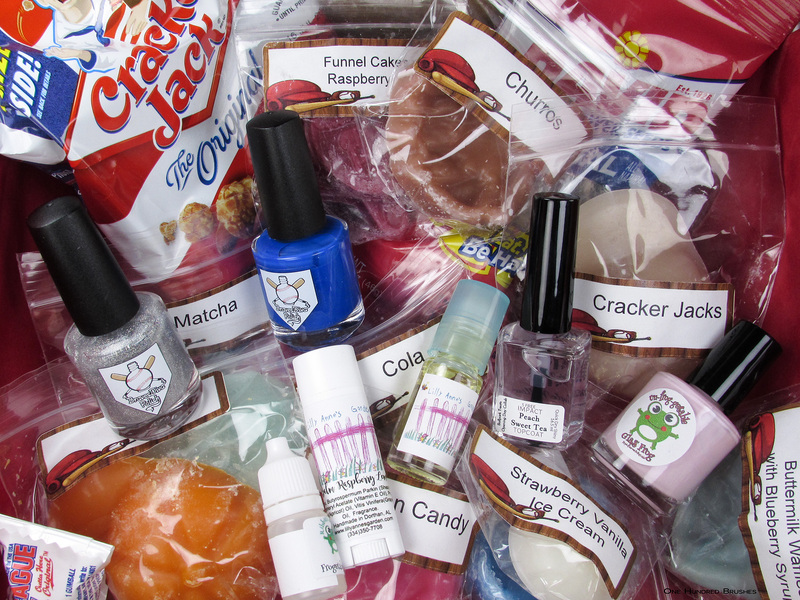 The Ballpark Treats Opening Day (BTOD) collaboration box is filled with nail polish some nail care items and delicious smelling wax. It’s already been released so you can grab it right now. There’s a whole lot to get into so let’s get to it! This post is gonna be a lengthy one, no escaping that! I’m gonna start with the polish and care items then wrap things up with the yummy waxes. Tara created this gorgeous cobalt creme under the inspiration of Nippon Professional Baseball’s logo. I’ve used several of Braves Diva creme polishes so I knew what to expect here. 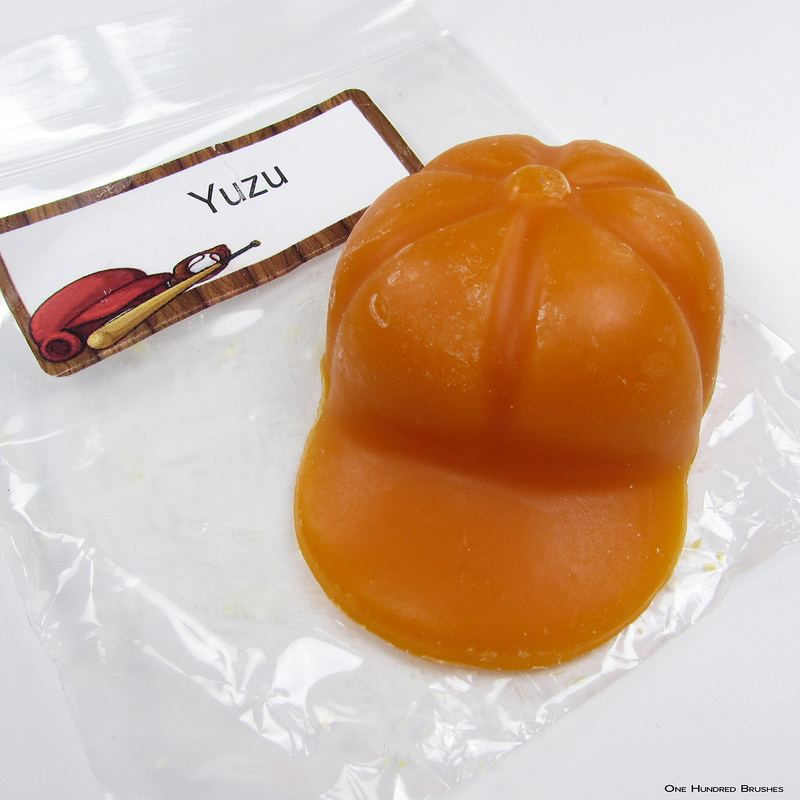 Yakyū has an almost jelly-esque feel with its ease of application and it dries to a high glossy shine. I’m wearing two coats with a glossy topcoat. Yakyū means baseball in Japanese. In addition to Yakyū, Tara also mixed up this holographic topper, Hoshi. The inspiration here is the Tokyo Dome at night. This is a lot more obviously holographic in person than how it shows in my photos. The micro glitters are endless and sparkly. I’m wearing one coat here over Yakyū and a glossy topcoat. Hoshi means stars in Japanese. 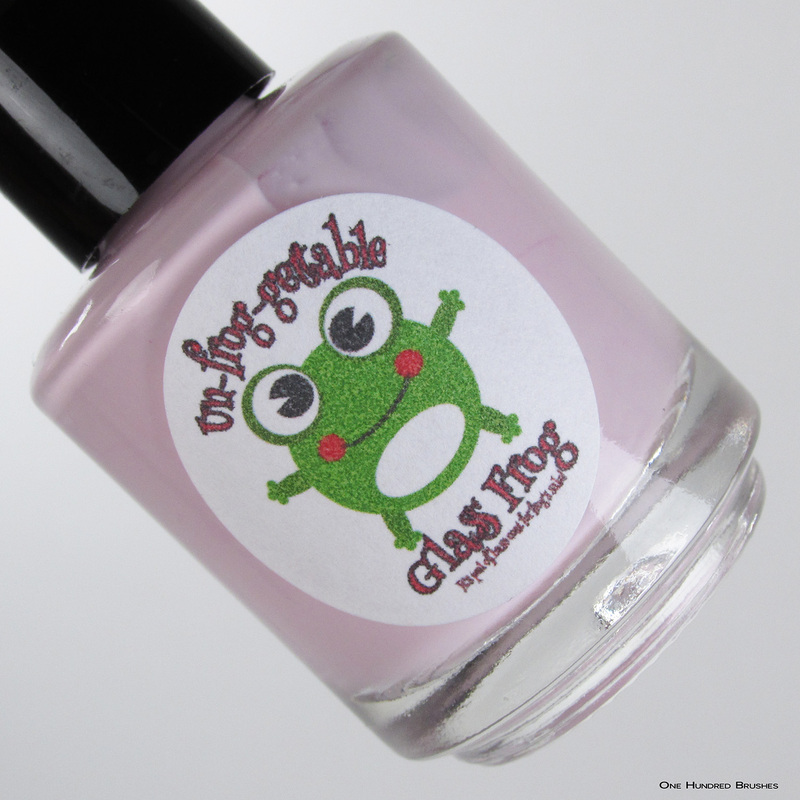 Kristy’s Ribbit Stickits Glass Frog is a dual purpose Peel of base coat and a liquid latex cuticle guard. 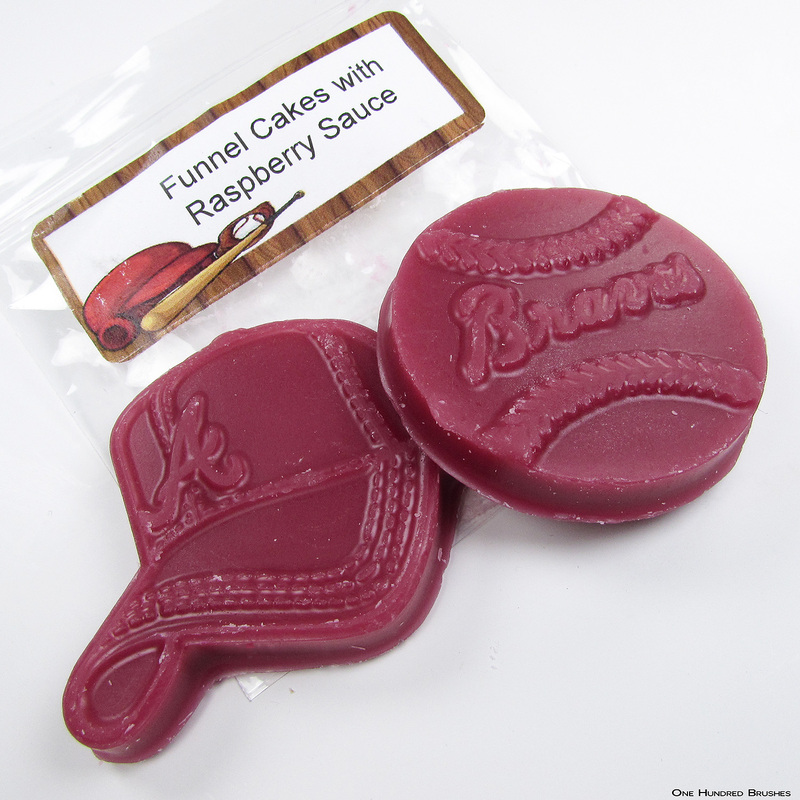 It wears the soft pink shade similar to Braves Diva’s Big Chew and is scented in sweet bubblegum. I wasn’t able to catch the scent as I was congested while reviewing this box. As seen below, it dries keeping the shade and it also removes nicely in one piece. 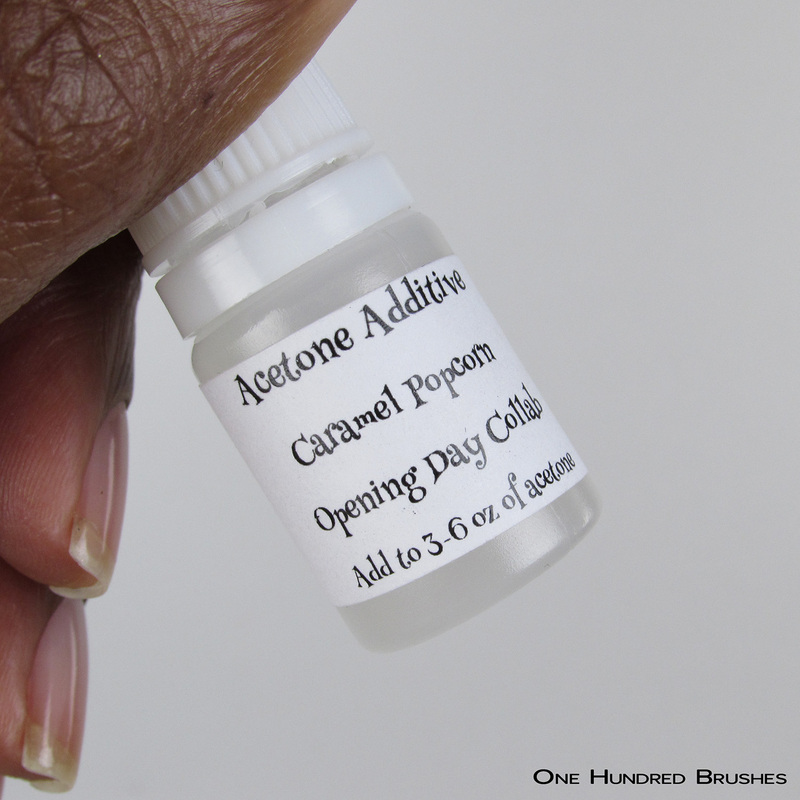 Kristy also has a mini acetone additive which is scented in Caramel Popcorn. Acetone additive is a must for me. It cuts the abrasiveness of pure acetone without interrupting its removal power. 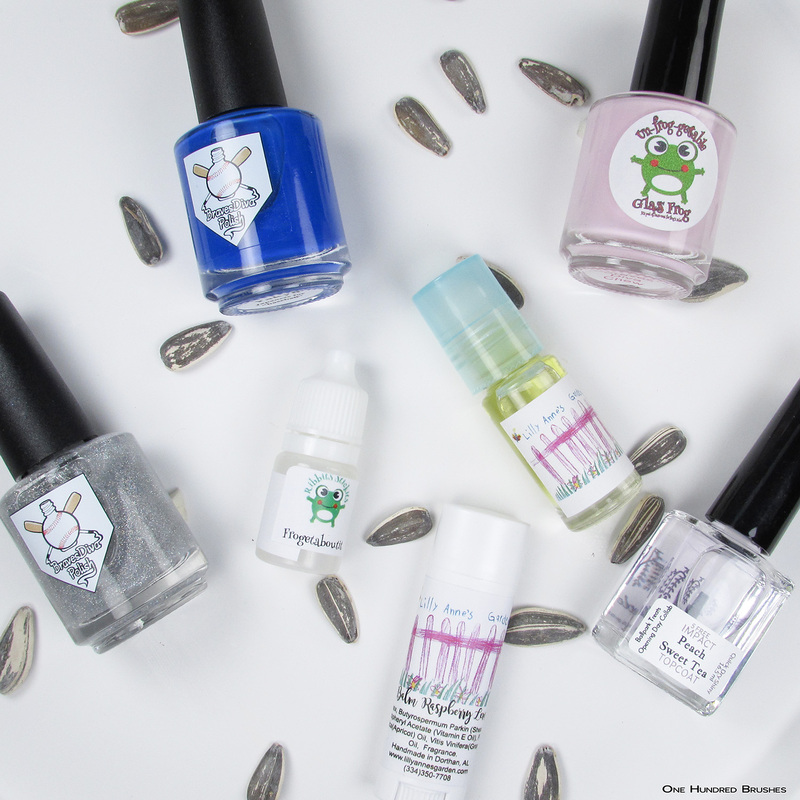 While using pure acetone can leave your nails and cuticles dry and rough, the oils and other moisturizing ingredients in the additive leave the nails hydrated. 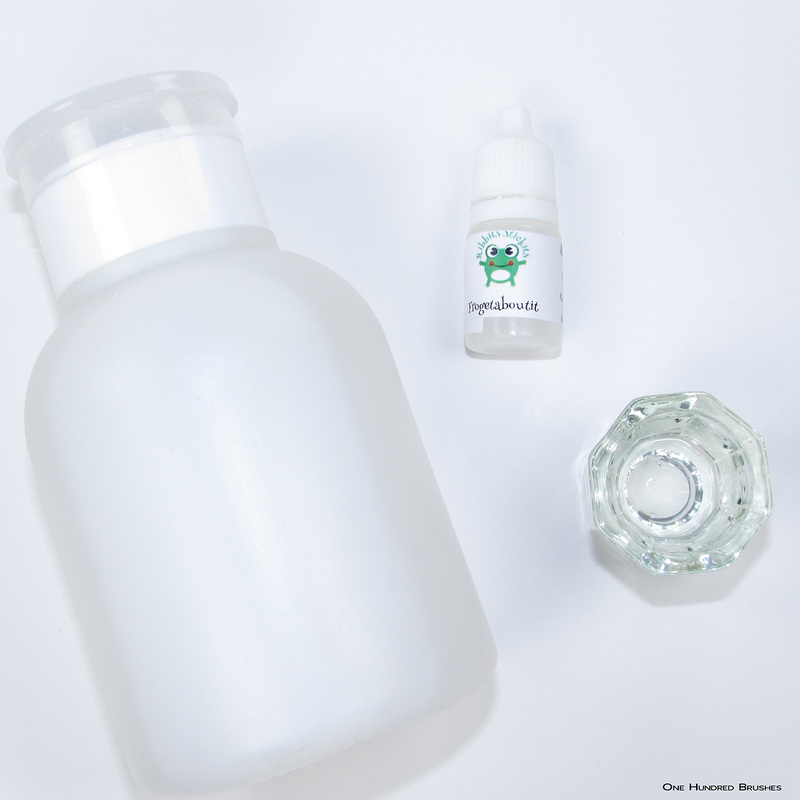 With this mini bottle, you can simply add a splash into a small amount of acetone. 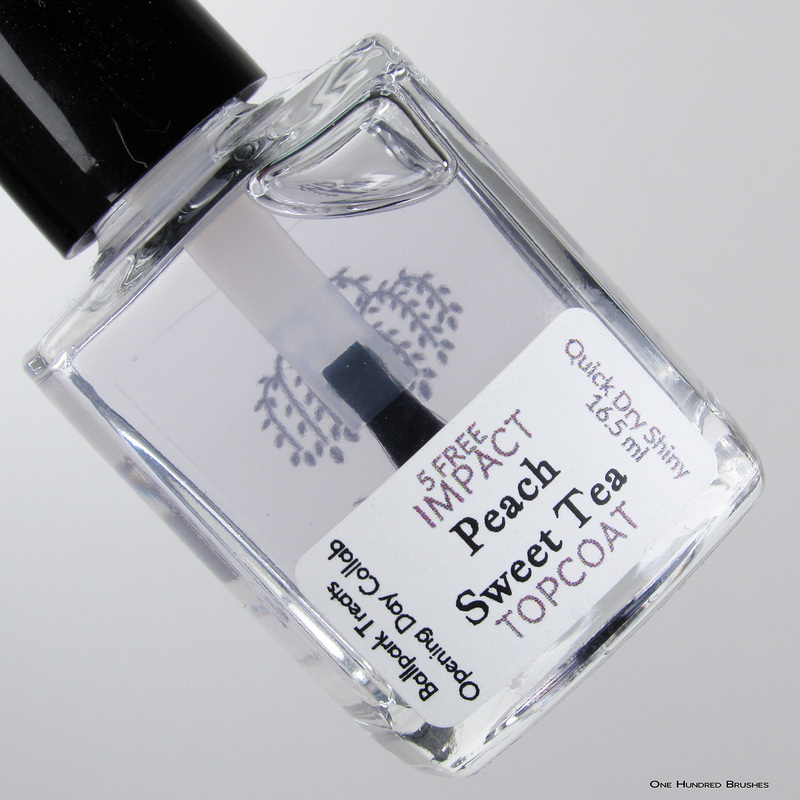 Chelsea makes some of my favorite scented topcoats and I’m glad to see a Peach Sweet Tea one added to the mix. 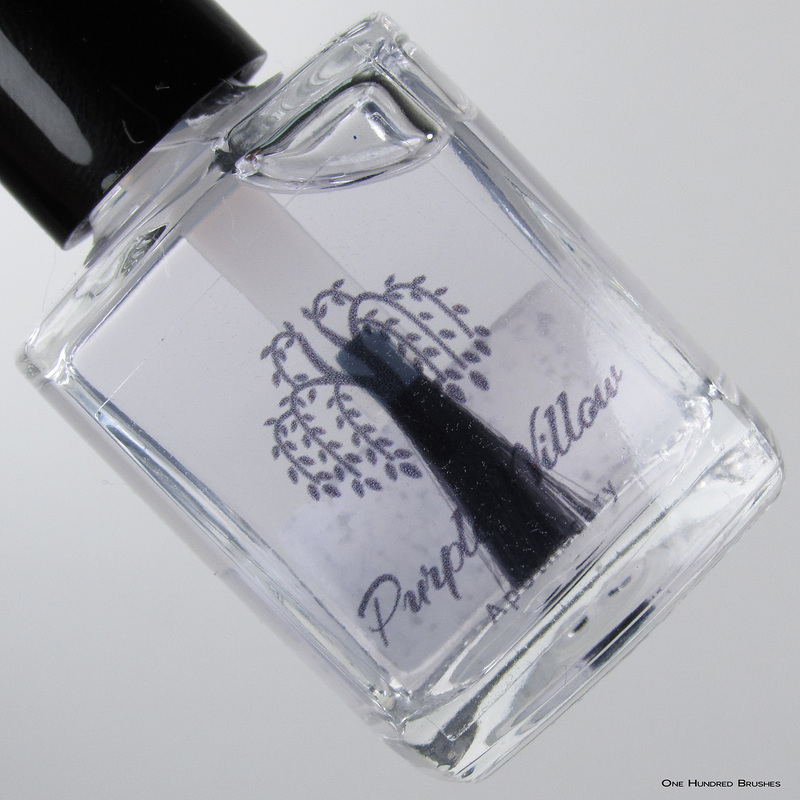 The Purple Willow Apothecary Impact topcoat is quick drying with a high gloss finish. Again, I wasn’t able to catch the scent because of a dumb cold but if its anything like the other flavors I have, the scent would be true and lasting. I decided to use this over some stamped nail art featuring Yakyū and Hoshi and Braves Diva’s black and white polishes with no streaking or bleeding. Yes, it looks like this box is full of my favs because here comes Lilly Anne’s Garden! Misty’s well-loved cuticle oil is scented in Rainbow Sherbert. If it’s anything like her(limited edition) Rainbow Sherbert creme de la creme lotion, then the scent is tart and so delicious. 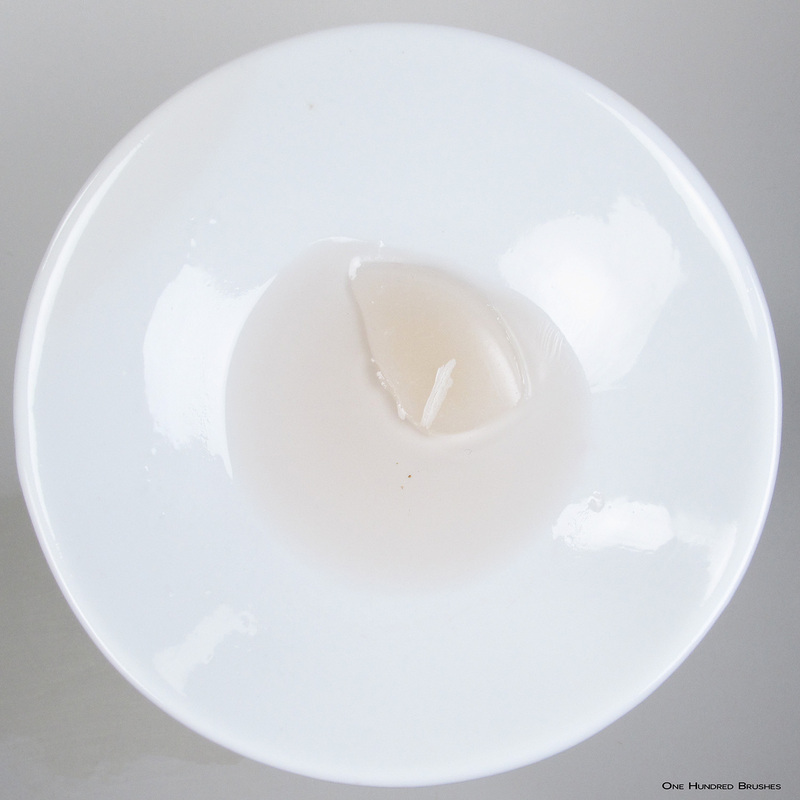 The oil is light, non-sticky and absorbs well into the skin. 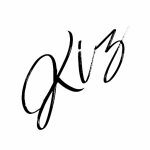 I used this after wearing Kristy’s cuticle guard and it quickly hydrated that grey, dull look. 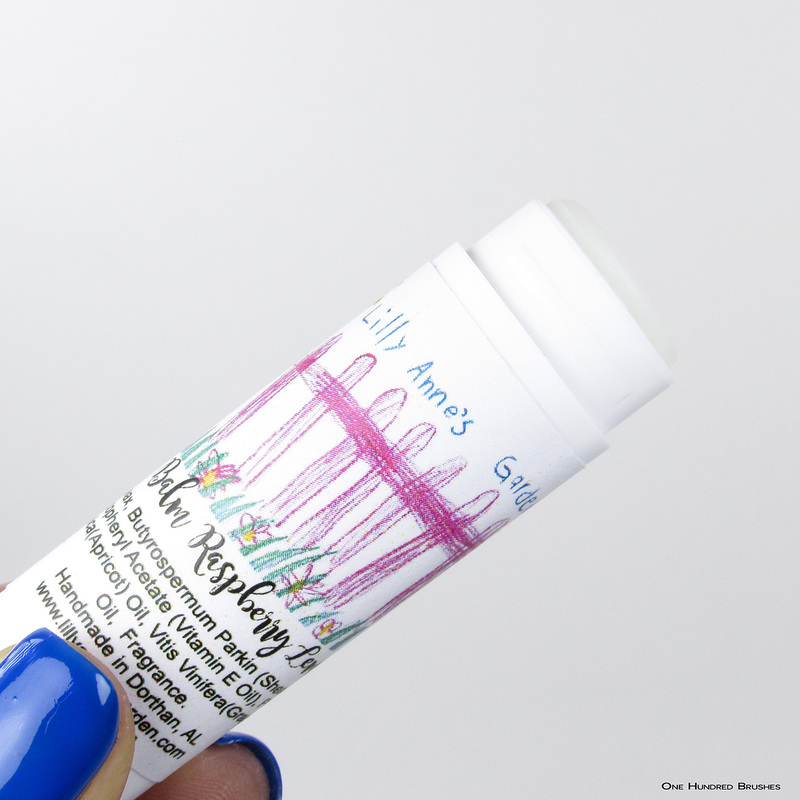 Misty’s second product for this box is a raspberry lemon scented and flavored lip balm. 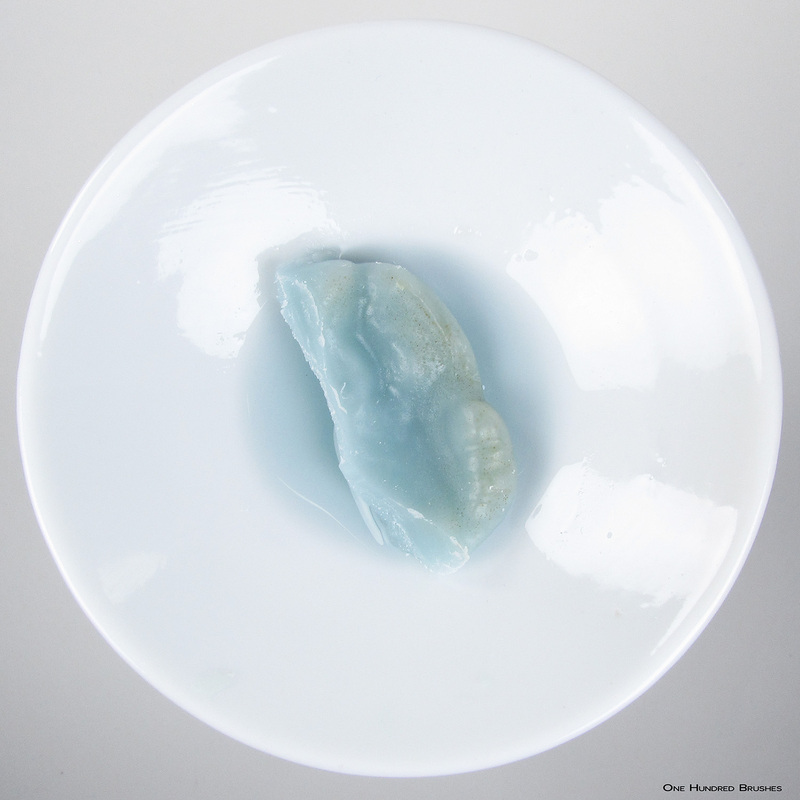 It has a slightly sweet flavor and is not greasy on application. In fact, it slightly matte on me and not tacky or heavy. I love me some wax! Apart from plants, its one of the things that my family is (almost) as excited as I am about. 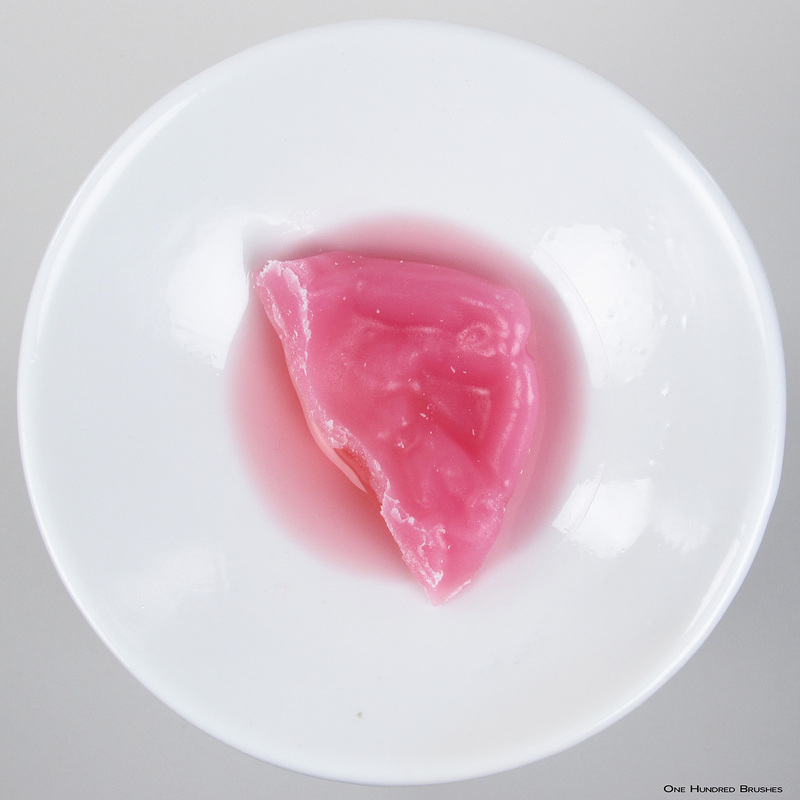 I’m new to the L3 Waxy Wonders so it was great to be introduced to Jennifer’s products. 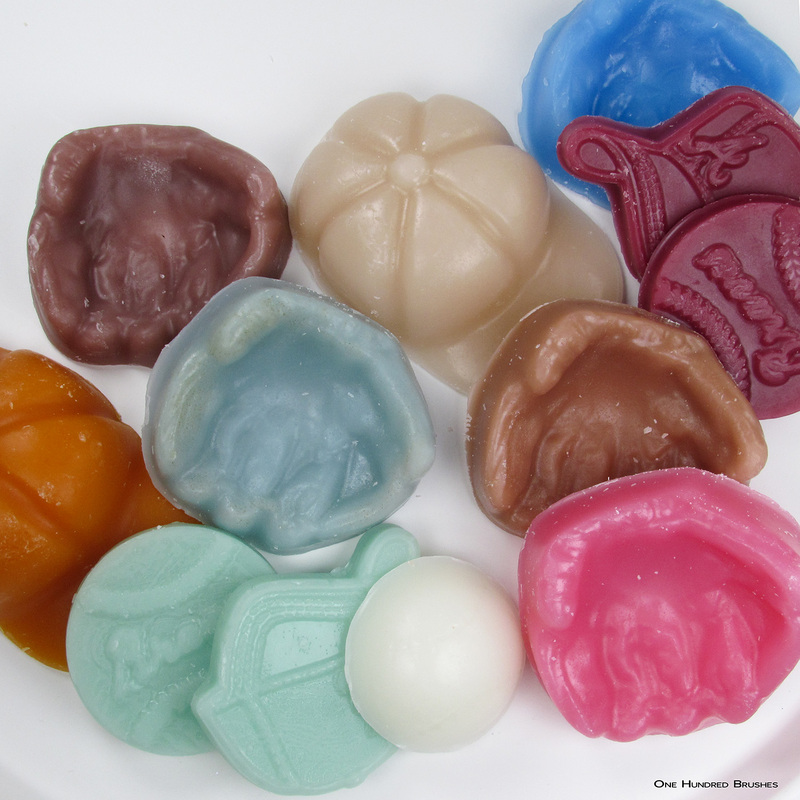 In the box, you will receive ten individually packaged wax pieces in themed shapes, themed scents and differing weights. There are no embellishments (glitters, shimmers, caviar) in this wax, just a bit of color. Jennifer’s wax is a bit on the harder side, cutting to snap as opposed to a glide through. 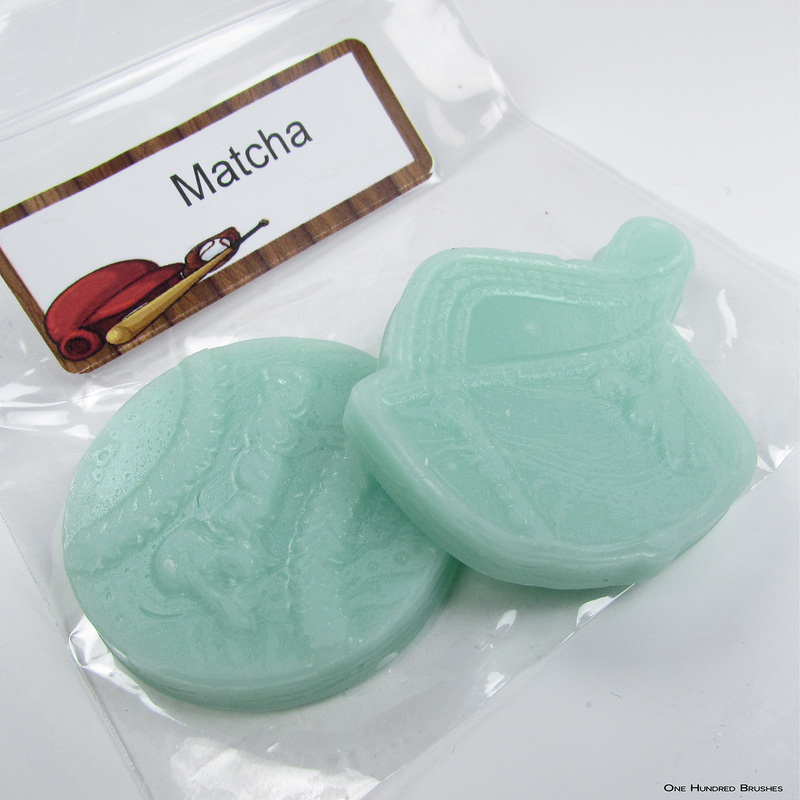 I used my tea light wax warmer for these and had Sam and the boys “help” me with scent placement. 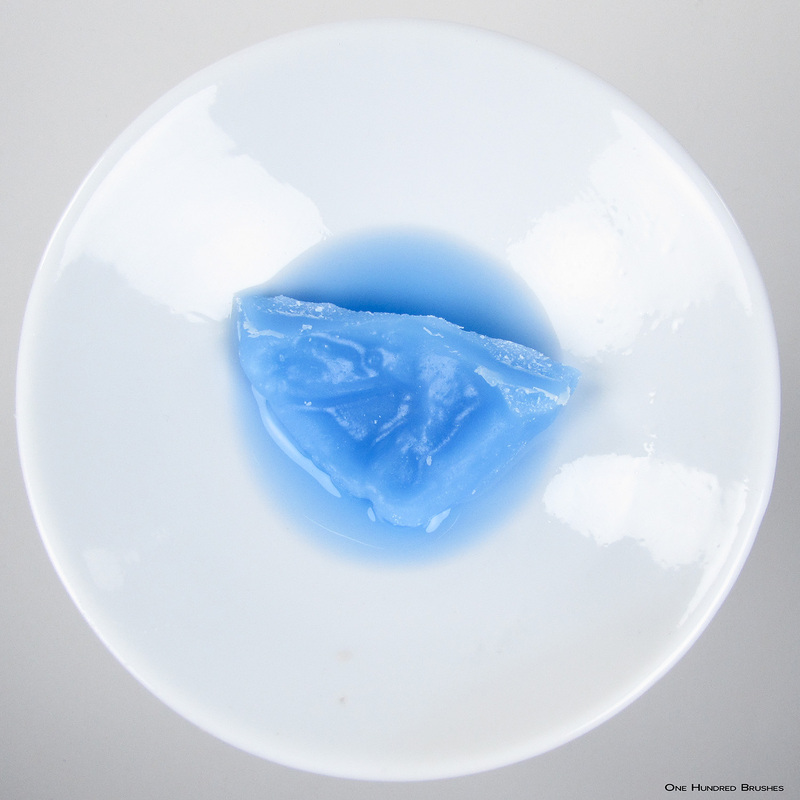 From what I could tell, her waxes have an incredible throw as I was able to pick up the scent on some even through my congestion. 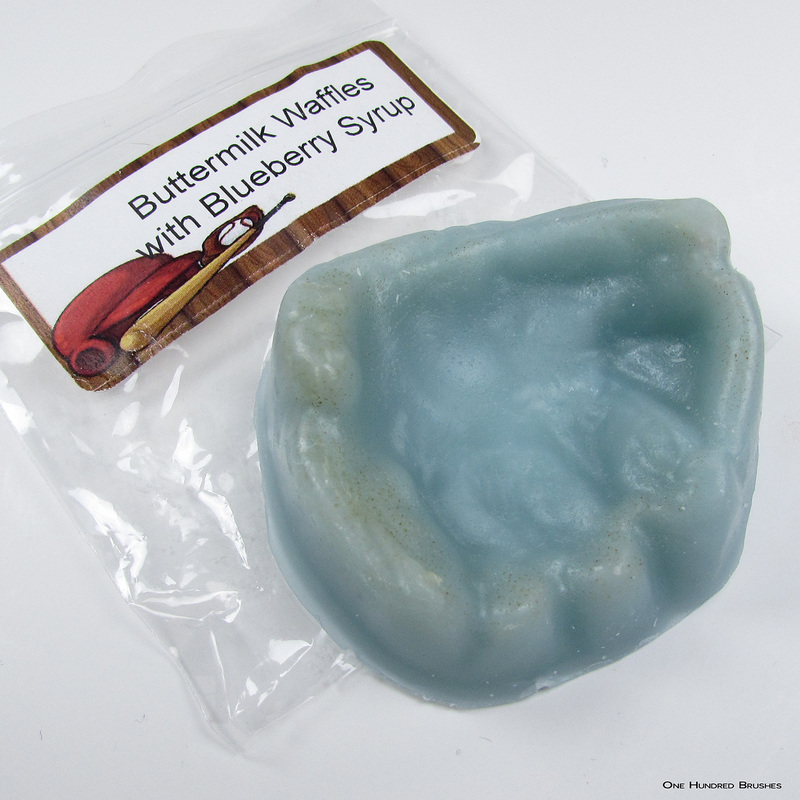 Buttermilk Waffles with Blueberry Syrup was the first wax that I tried and I was surprised when I actually caught the scent. 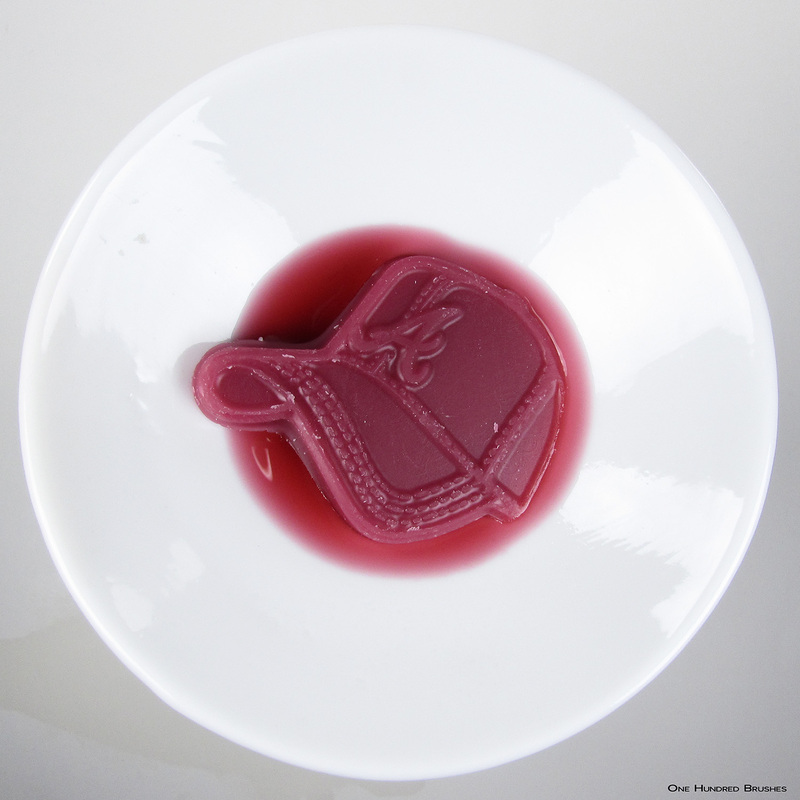 With my congested nose, I was able to pick up the sweetness and warmth of the blueberry syrup with a light touch of waffle. Mine came in the shape of a baseball mitten. This scent pay homage to the Waffle House located inside Suntrust Park, home of the Atlanta Braves. 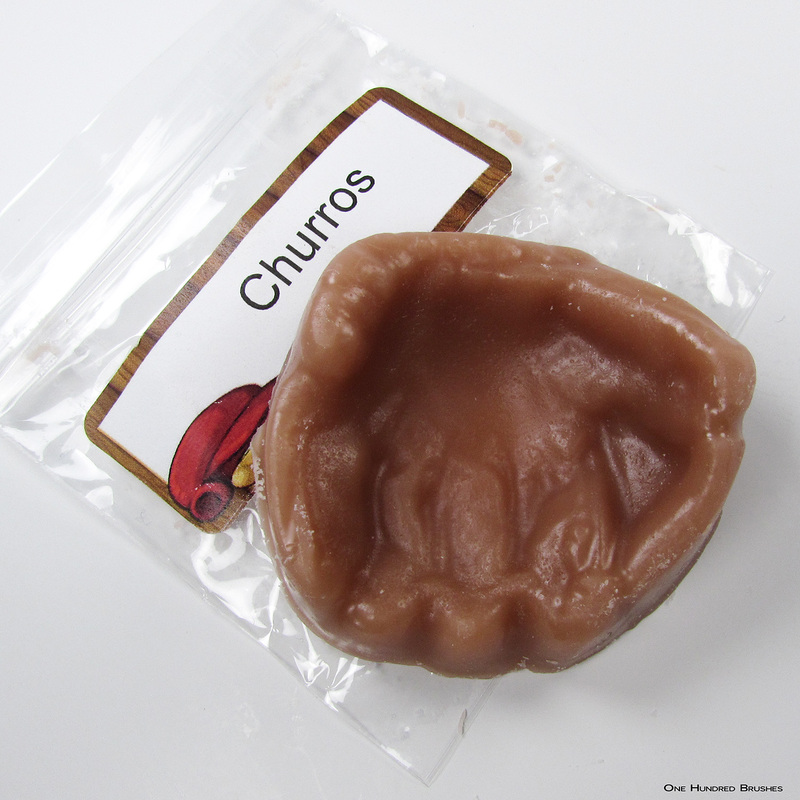 Sam mentioned that Churros leaned more toward sugary sweet than bakery. This one also came in the shape of a baseball mitten. Cola channels one of my favorite sodas. 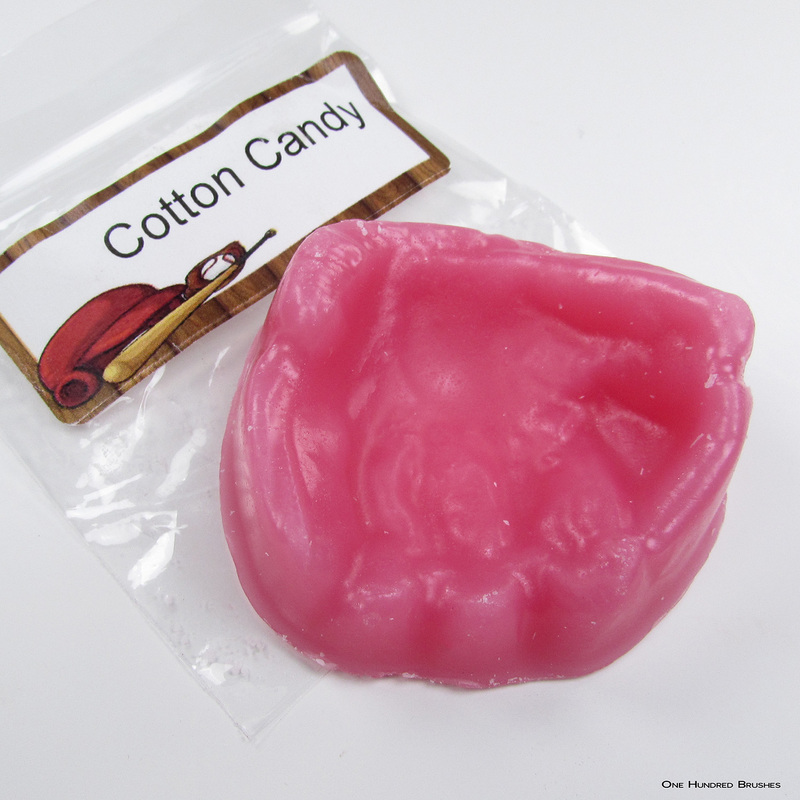 This one mimics the scent of the syrup that you might find in Slurpee or snow cone and is not fizzy. Mine came in a shape of a mitten. My youngest thought that this one smelled exactly like Cotton Candy and went on to suggest that we get some. This is what food scented wax usually does to my household. My Cotton Candy came in the shape of a baseball mitten too. 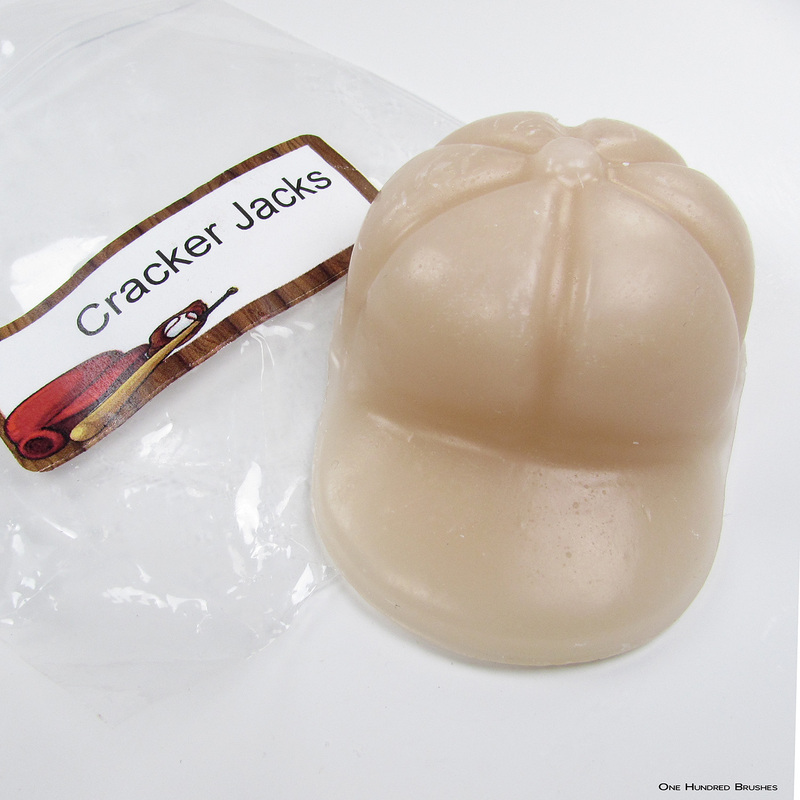 Cracker Jacks was one of my favorite snacks growing up. I mean, you get candy corn and a free surprise inside! And yep, I was that kid who would eat all the popcorn first and save the prize reveal for last. I was a bit bummed that I wasn’t able to catch the scent of this one during my review but Sam did confirm the smell of sugar and popcorn! Oh, and you will get a bag of Cracker Jacks in this box. Mine came in the shape of a baseball cap. I caught a whiff of tart, fruity raspberry upon melting Funnel Cakes with Raspberry Sauce. My helpers weren’t around when I melted this one so you get to rely on my hindered olfactory senses. Mine came in Braves themed cap and ball shapes. Matcha is Japanese Green Tea and it was a scent I couldn’t catch and Sam couldn’t place. Once I did tell him what it was he said that he got it. Matcha came in two pieces in Braves themed cap and ball shapes. 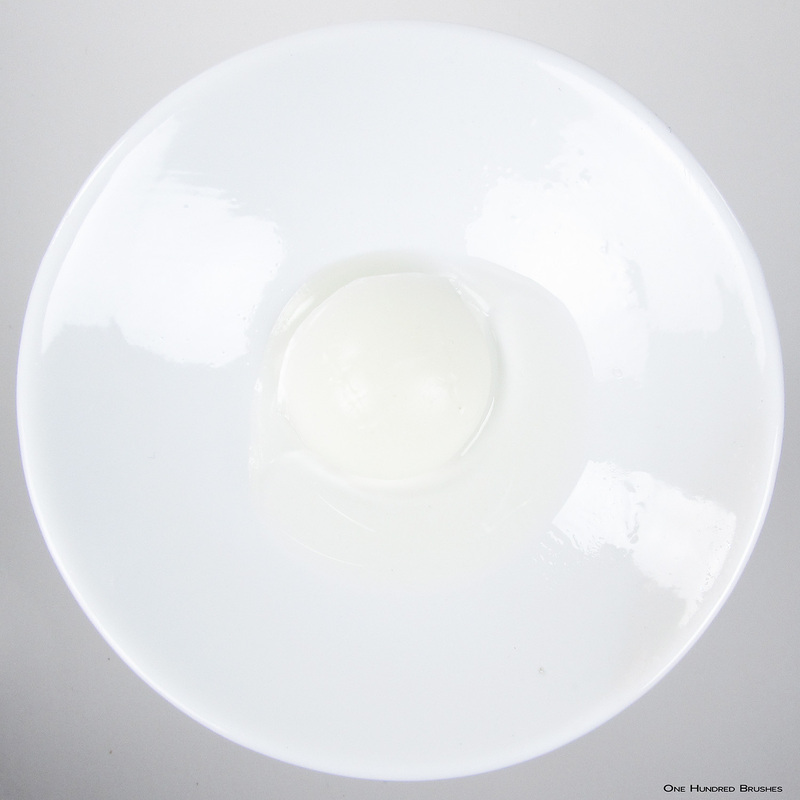 It was only after loading these images for blogging that I realized that I did not capture a melting shot for this. 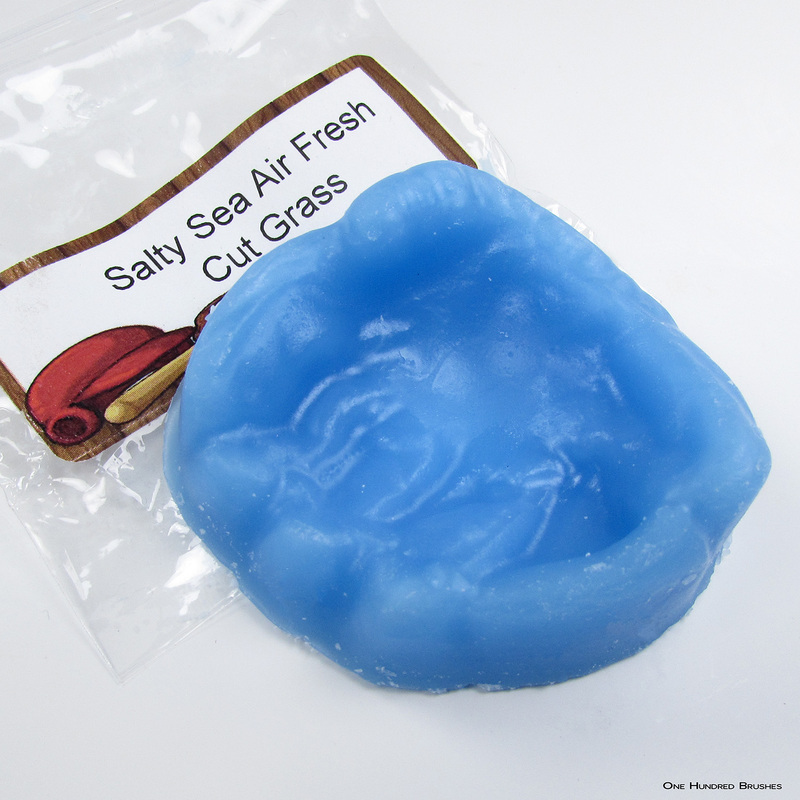 Salty Sea Air Fresh Cut Grass, according to Sam, smells exactly as it sounds, crisp and fresh. This one is dedicated to coastal ballparks and I suppose our Tropicana Playing Field would fall under here. Mine came in the shape of a baseball mitten. 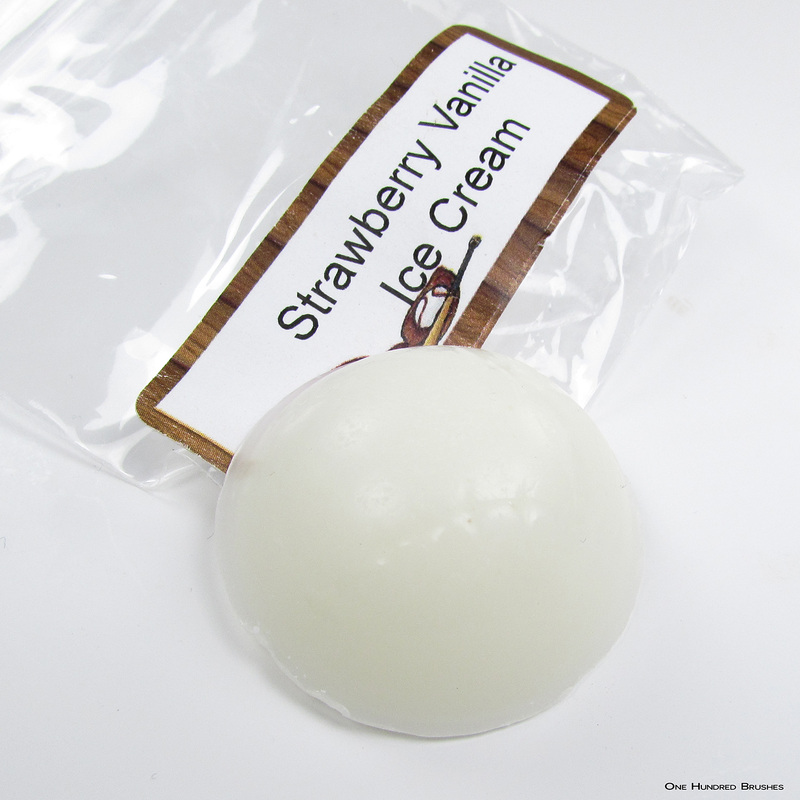 I had the pleasure of smelling Strawberry Vanilla Ice Cream and it is so delicious! Sam said that he got creamy vanilla first but even I get that whiff of sweet strawberry. This one is inspired by Dippin’ Dots and came shaped as a halved baseball. 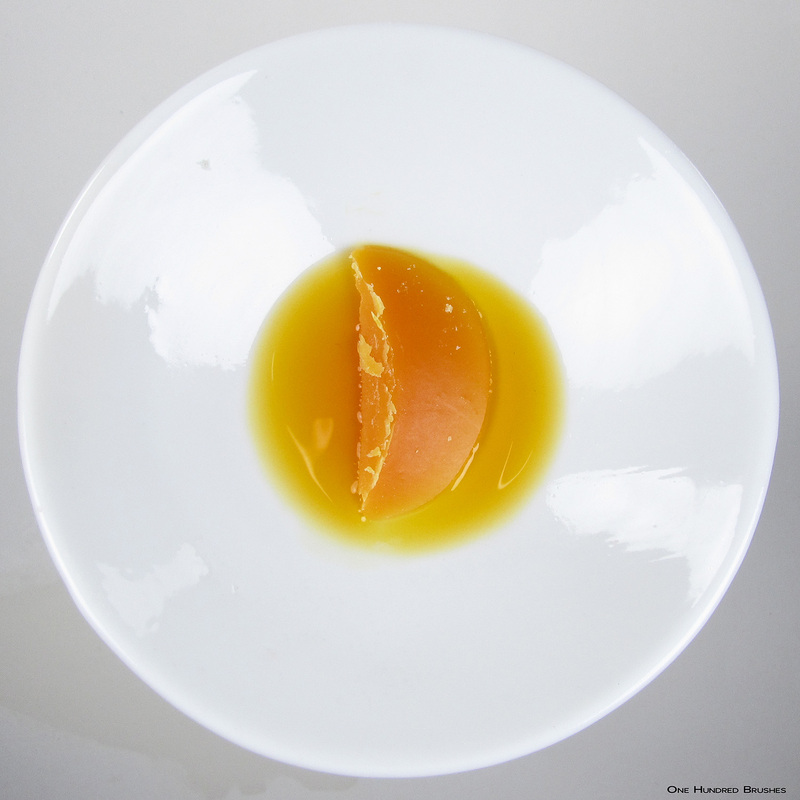 Yuzu is a Japanese citrus fruit and I most definitely picked up that crisp, tart citrus from it. I love citrus scents and I’m looking forward to revisiting it. This came in the shape of a baseball cap. I am not a fan or the least bit knowledgeable about baseball, but I have completely enjoyed this box. It’s such an enjoyable mix of polish, hand and body care and wax melts. Even the snacks were a welcome bit of nostalgia and introduction. 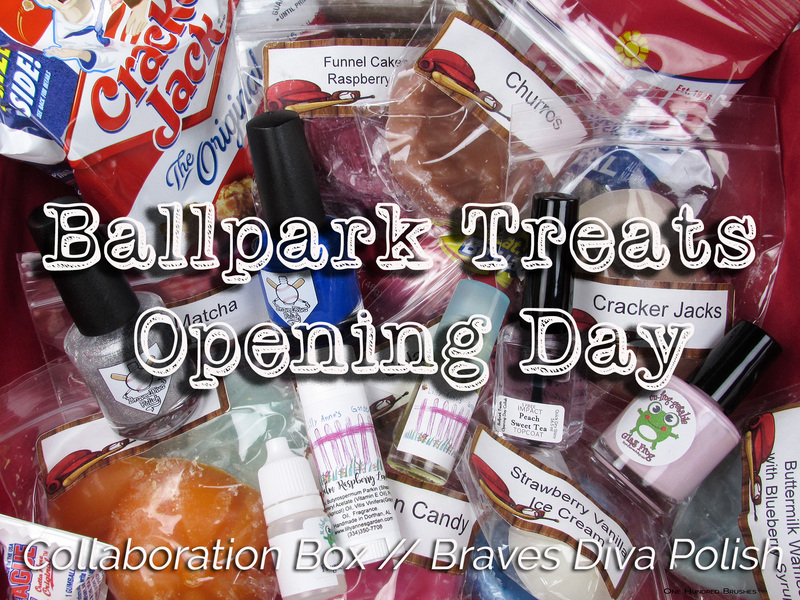 The Ballpark Opening Day Treats box launches at 9 pm EST on Friday, January 25 at Braves Diva Polish. Price: $45 + $15 priority shipping. Shipping overages will be refunded. While the box is preorder, 12 boxes ready to ship (RTS) immediately. Once all of these RTS boxes are depleted, sales will advance to preorder running though February 8. Preorder shipping should commence on March 11, in time for the opening series in Japan March 20-21, 2019. Discount codes will not be honored for this box. Are you a baseball fan? Will you be grabbing this box?